Who can’t resist a box of Girl Scout cookies! Its that time of year again, and the Girl Scouts will be selling delicious cookies in a variety of flavors. This year there is a new cookie on the menu The S’mores Cookie. It is a crispy graham cookie that is double dipped in cre’me icing and has a chocolatey coating. If you are looking for a gluten free cookie check out the Trios gluten free peanut butter oatmeal cookie with chocolate chips and Toffee Tastic butter cookie with bits of toffee through out. Did you know that the girls scouts organization is one hundred and two years old? Juliette “Daisy” Gordon Low invited 18 girls in Savannah, Georgia, on March 12, 1912, to attended the first Girl Scout meeting. See the History here. In 1917 girls and their mothers started baking cookies to help raise money for the troops activities. In 1922 Florence E. Neil came up with a cookie recipe for the now 2000 Girl Scouts. The suggested price to sell the cookies were twenty five to thirty cents a dozen. GirlScoutCookies.org can help you find where the cookies are going to be sold. Go to the site, you can put in your zip code and find out when and where the sales will start in your area. You can also download the Girl Scout Cookie Finder App at iTunes or Apple.com. This App uses your IPhone GPS to find the where the cookies are sold and what cookies are available for your location. This is a special season as the Girl Scouts of the USA Kicks Off Next Century of Female Entrepreneurs with 2018 Girl Scout Cookie Season – Read about that here! Watching the news of Hurricane Harvey this past week was devastating. This was the Hurricane that would not go away and left its damaging and nasty mark on Houston in the most unforgiving manner. Watching America and other countries come together for the people of Texas shows that we will all come together no matter what race, color or gender and it is love, yes, love for our fellow man. Budget Bi Rite Insurance wants to help as well and we are donating to the Salvation Army. We encourage anyone and everyone to please give what you can to help those in such desperate need at this time to the Charity of your choice or you can click below to make a donation to the Salvation Army. It is National Cheeseburger Day and we have found a great article over at GoBankingRates.com offering places that are giving free, cheap to discounts to celebrate this day. 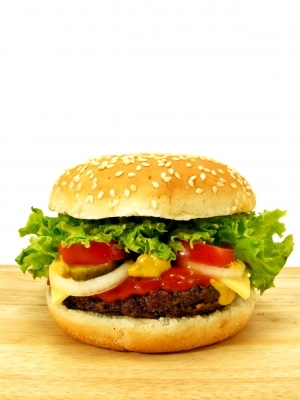 Some say the cheeseburger was created in 1924 by by Lionel Sternberger, age16, who added a piece of American cheese to a cooking hamburger at his fathers restaurant in Pasadena, California. Both father and son liked it and named it the “Cheese Hamburger”. Charles Kaelin who owned a restaurant in Louisville, Kentucky called Kaelin’s, claims he invented the first Cheeseburger in 1934. He claims he wanted to add a new tang to the hamburger and put a “cheese topped burger” on his menu, also claiming to be the birthplace of the cheeseburger. In 1935 the name “Cheeseburger” was trademarked by Louis Ballast of the Humpty Dumpty Driving-In at Denver, Colorado. While there are claims of who created this burger wonder, it is still one of America’s favorite foods and shipped all over the world. Head on over to National Cheeseburger Day: 16 Places to Get a Free or Cheap Cheesburger | GOBankingRates and find a deal for a Cheeseburger place near you. 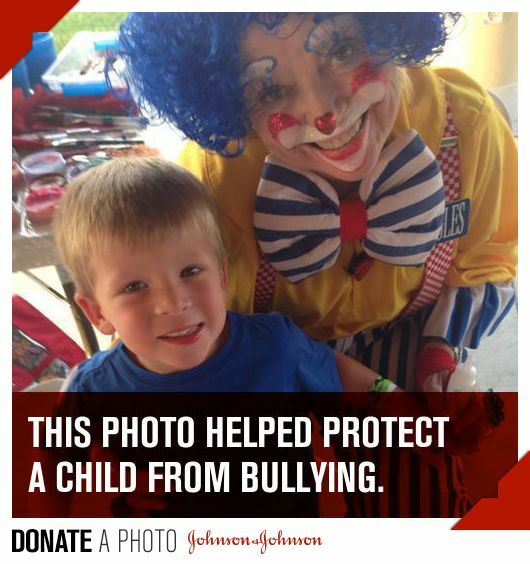 Johnson & Johnson company is helping to pay it forward to those in need and are calling for Photos to do this. They have set up a website, DonateAPhoto.com where you can donate a photo and they will give $1.oo for every photo you submit to a Cause you choose on their site. The limit is one photo per day. Your Photo’s can make a difference in a child’s life. You can download the free App for your iPhone, iPad, and iPod touch and it is optimized for iPhone 5. How many photo’s do you have already on your phone that you can share? Or take new ones and save them just for a Cause. Start sending photos to make a difference in the world today and share on your Facebook, Twitter, Pinterest and more. Great idea Johnson & Johnson!